Unlike most things in the wedding process that have some sort of example to follow, creating invitations is a total free for all. They’re supposed to symbolize the couple, the wedding destination, and attempt to be pretty and unique at the same time. That’s a lot to fit on a piece of paper but here’s our attempt at the process. 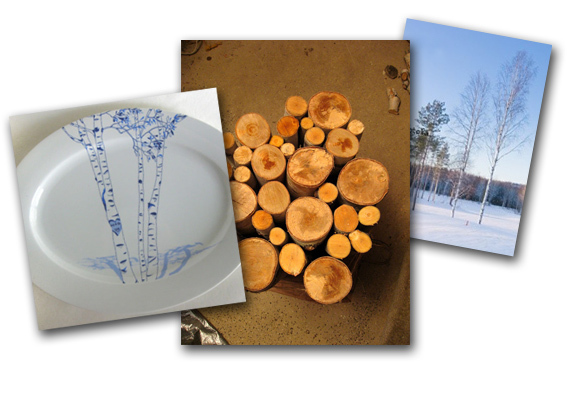 Our design inspiration all started with a plate, our birch log table project, and a wintry Vermont forest. With this hodgepodge of photos, we went to letterpress genius Meredith Kurosko of Regas New York. In addition to being an incredibly talented graphic designer, she has the patience of a saint (a former magazine editor is no easy client) and I’d like to thank her for an amazing job. After a passionately collaborative process, our whimsical birch forest came to life (top). 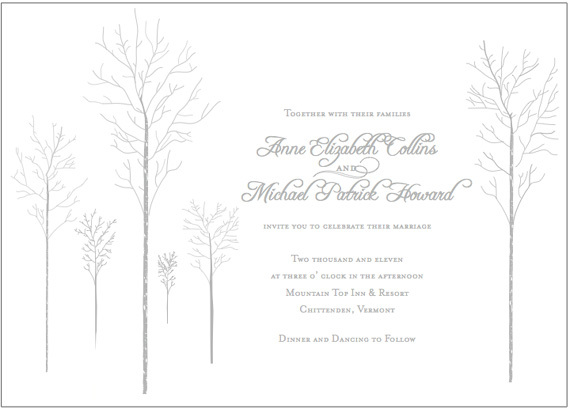 From a distance, icy winter birch branches become a feathery and ethereal frame to our invitation text. 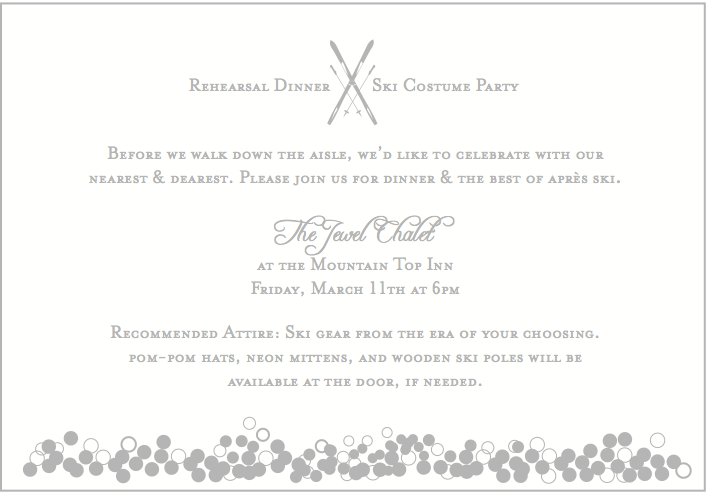 To kick off the festivities and to help my Southern California family find the fun in cold weather, we’ve decided to make the rehearsal dinner a vintage ski costume party. This means get decked out in funny ski gear from the era of your choosing–anything from 80s neon jackets to 40s leather goggles. Since we had no idea what our invitations would look like when we created our Save the Dates, we tried to work backwards and give the two pieces of stationery a bit of consistency. 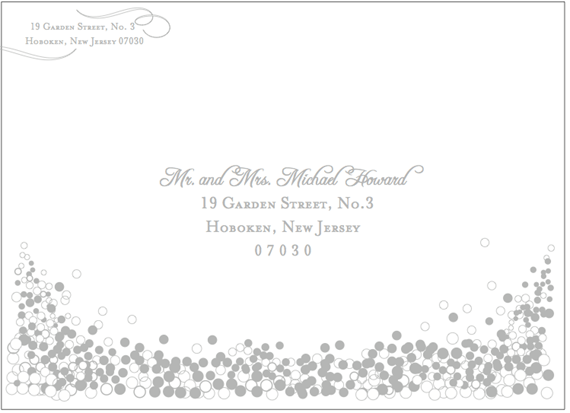 Playing off of our original “Speckled Stones,” design we gave the envelopes a similar snowdrift but with more of a bubbly champagne effect. We love every piece–and this is just a PDF! 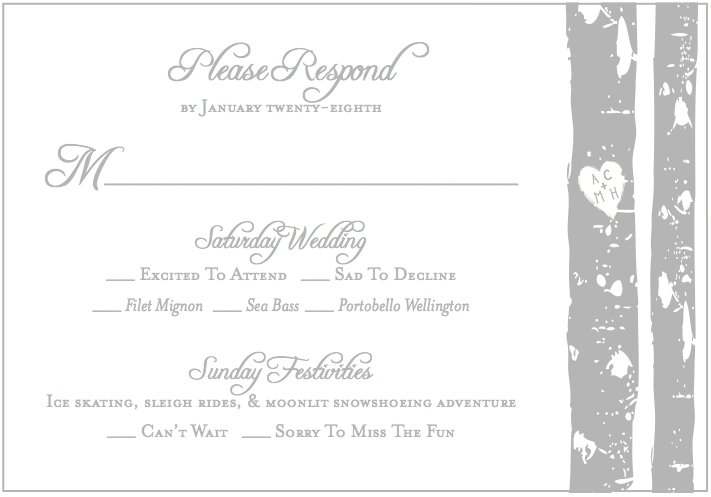 In silver ink and letterpress, they become the perfect invitations to our chic and quirky Vermont wedding.